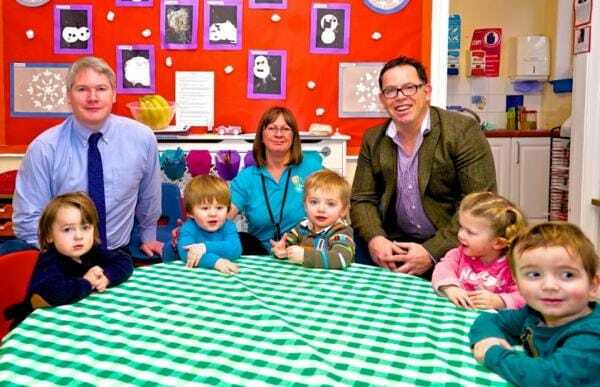 Hartford sponsored the bespoke childcare-specific course for all 42 Hopes & Dreams nursery staff across its three sites, giving them a deeper understanding of food allergens and allergies, as well as issues such as cross contamination. Over the last few decades there has been a growing epidemic of allergy prevalence meaning the need for awareness has also grown. Run by the National Day Nurseries Association, the course supports new European Union legislation which took effect in December. The legislation requires that food businesses including nurseries provide clear allergy information for all food served. They must also ensure that staff understand and are able to inform customers about the existence of any of the 14 specified allergens within any dish served. Previously, this information was only required on pre-packaged foods such as those on sale in supermarkets. James Greenhalgh, one of the directors of Hartford Homes, is all too aware of the issues that the growing epidemic of allergies creates for some families. He and his wife, Suzanne, helped to set up the Isle of Man Allergy and Anaphylaxis Support Group, which is actively spreading awareness and lobbying for changes on the Isle of Man to make life safer for children as well as adults with allergies. Hopes & Dreams has cared for children from over 1,636 families on the Isle of Man since 1999 and now has three nurseries including one on Woodbourne Road in Douglas, The Buchan Nursery in Castletown and Parklands Nursery in Ramsey. Photo caption: Hartford Homes director James Greenhalgh pictured with Hopes & Dreams’ Fiona McGarry and Gary Peirce and nursery children Lewis Richards, Owen Swain, Padraig Byrne, Alana Locker and Ethan Hannah.